Come learn from the 2015 Women’s CIS National Champions and experience the first-hand preparation required to win a national title! 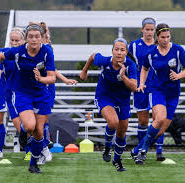 The UBC Thunderbird Women’s Soccer ID Camp is designed to give each player an inside look into what it means to be a collegiate soccer player as well as prepare for their upcoming club season. Players will be put through training sessions that will mirror those sessions that the UBC soccer staff run for the current varsity team. Each session will test the players physically as well as expand their tactical knowledge. The sessions will be run by the UBC coaches and will be assisted by the current UBC women’s soccer players. Training sessions will conclude with match play each day. You’re also invited to attend the UBC Thunderbird Varsity Women’s Soccer pre-season training each day between 9:30am – 11:30am. This will provide an opportunity to participants to ask questions, and learn more about what it takes to be a Varsity athlete. There will be goalkeeper specific training sessions. Goalkeepers will train separately for the first half of each training session and will then join the field players for match play. Prior to sessions on the 2nd and 3rd day Q&As regarding what it is like to be a collegiate athlete, college recruiting process, and academics will be offered from current UBC players and coaching staff. Come join us and see what it is like to be a UBC Thunderbird! Where do I go for check-in? A list of items will be sent in a pre-camp email once the athlete has completed registration. Parking can be found at many different locations at UBC. Please note that all parking is pay parking. Yes, please email Head Coach Jesse Symons at jesse.symons@ubc.ca if you can only attend specific days. Our soccer specific strength, power, speed, performance camp focuses on teaching the fundamental body mechanics and movement patterns necessary for success on the field.